Enjoy everything in London including the weather! TingHsuan Wu: Enjoy everything in London including the weather! 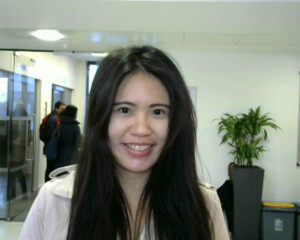 TingHsuan Wu (Jess) joined IETLS course in EC London and has been an amazing student for 47 weeks! She told us some stories about the experience in London before she finished her studying journey in London. The reason why she chose EC was because EC as a language school in London had very positive feedback in many social medias, the school took care of students. She also mentioned the teachers here are friendly, kind and patient – she barely needed to use dictionary to translate the new vocabulary in class. Talking about the most unforgettable memory of EC, she said she knew lots of teachers, friends and locals here, the memory that she spent time with them is absolutely a treasure for her! She was happy to recommend EC to her friends because she thought EC is well prepared for the students who have different English levels and ages to come to study. The favorite place of Jess in London is Regent’s Park! It is a wonderful place to relax and enjoy the sunny day!